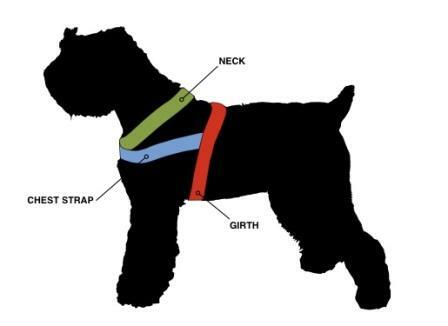 Dean's Choice was designed as a tracking harness, but is also suitable for training, walking, and hiking. Features three adjustable straps, a small breast plate with felt lining and brass hardware. Extreme quality; worth every single dollar! It was not clear to me that the custom made harnesses really require talking to a Dean and Tyler support representative. That personal conversion answered my measurement questions and was actually required for DT to proceed with the order. In other words, it appears you can't get a custom harness without having that conversion. The product is first class and the service is also first class. You might consider being a bit more explicit on the web site about making contact with a DT representative for the custom pieces. If your support reps are as knowledgeable and helpful as Liz you will really build a following. You certainly have me. Excellent quality and workmanship, however still trying to figure out how to make it fit comfortably for my 100 pound boxer. 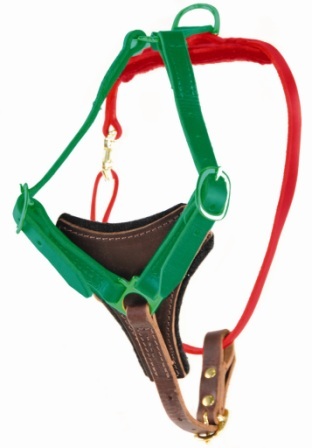 The "Dean's Choice" is a very high quality harness, both in workmanship and durability of the leather. This harness will likely outlive our pup, and would still be strong for future generations. Looks sharp. Strong enough for a mule. Worth the money.